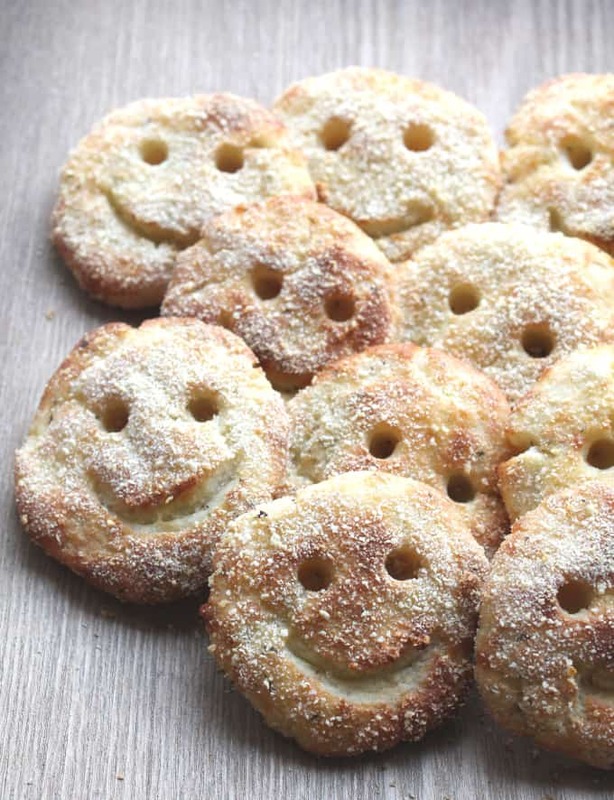 A healthy baked version of this kids’ dinner time favourite! A couple of weeks ago I found myself with a pile of leftover mashed potato. 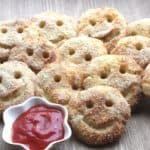 Continuing in my efforts to be a bit more frugal with food and throw as little as possible away, I decided to have a go at making some homemade potato smiles. My fussy eater loves the packaged variety but I try not to limit them to a treat dinner every so often. I had been meaning to have a go at making my own for a while and now, with a massive bowl of mash to use up, I had the perfect excuse. 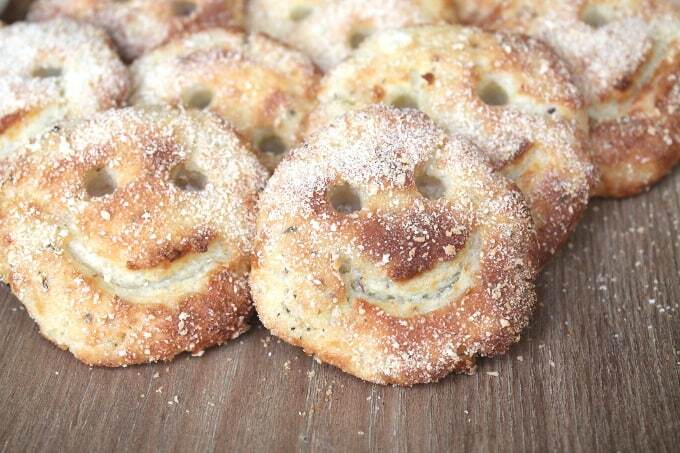 I thought these homemade potato smiles might be a bit tricky to make but they were surprisingly easy. 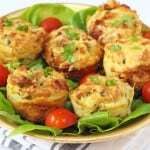 I added cheddar cheese to make them a bit more tasty but you can leave this out if you want to keep the fat content very low. You don’t have to use leftover mash either. You can make a fresh batch but be sure to let it cool before you start adding the other ingredients. My fussy eater was delighted when I produced these for lunch. She gobbled them down in record time, served with a portion of baked beans. I have to admit I quite enjoyed them myself with a dollop of ketchup! Mix the mashed pototo, cheese, cornflour and oregano together in a bowl. Season with salt and pepper. Chill in the fridge for 30 minutes. This will make the mixture easier to work with. Remove from the fridge and divide the potato mixture into 12 equal balls. Flatten each ball into a round shape the thickness of a one pound coin. Place the flatten potato balls onto a baking sheet lined with baking parchment, brush with egg and sprinkle with breadcrumbs. 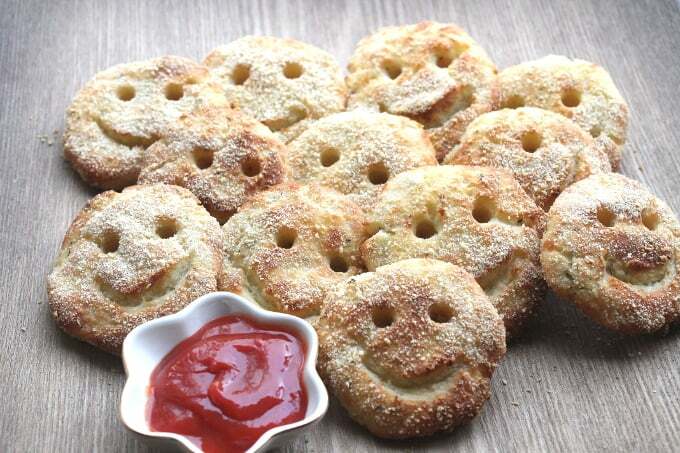 Turn the potato smile over and repeat on the other side. 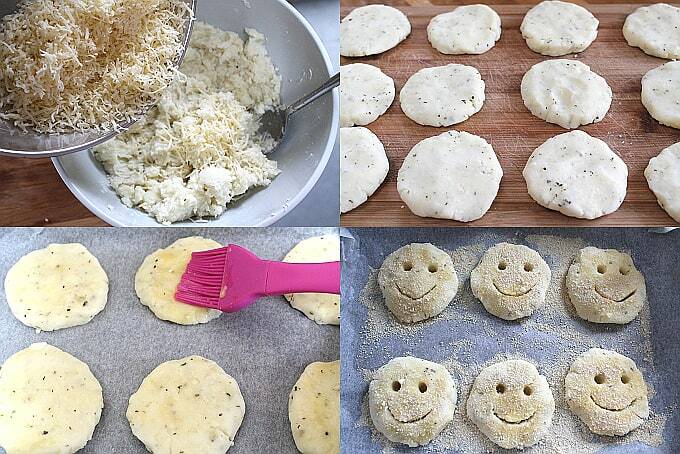 Make the smiley faces by adding two eyes (using the end of a teaspoon) and a mouth (using a knife). Bake in the oven for 25-30 minutes until golden brown. My daughter doesn’t like mash or home made wedges so this would be a good idea to try to get another carb into her thats not bread or pasta! Do you think I could freeze these? Before or after cooking? Thanks! Such a great idea as I always make too much mash when we have sausage and mash. My boys demolished them so that has to be a good sign! Can I add hidden carrot into them? @4 will this affect the consistency?? A small bit should be ok! 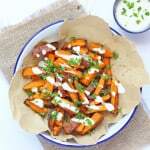 I just tried this on my blog where I test out people’s recipes – they are so cute! They worked out really well, although I oven baked mine, like the recipe suggests, because I think if I fried them I might lose the definition in the face. 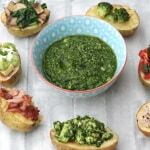 Serving them for dinner tonight to super fussy kids, so fingers crossed! Thanks for sharing Erin, so glad you liked the recipe! Hi, I made these the other day and they were delicious! frying didn’t work too well as they got a bit soggy so i put the rest into the oven. My fussy kids had a couple and were quite impressed. my 5 year old had a great time helping me put the eyes nose and mouth on them! So glad to hear they turned out well. I need to make these again soon! I’d like to make these with my kids today. Do you think it woudl work if we fried them? My son is super fussy so i thought maybe for the first time we could fry them (maybe they would be even tastier? ), and then in the future we’ll bake them in the oven..
Hi Dounya, yes you can absolutely fry them also. I hope he likes them! I will let you know! and thanks for replying! No problem at all. I love to hear from people who are trying my recipes! What a great idea! My boys would love these. Let me know if you try them. I’d love to see if other kids like them too! Sign up for my weekly email!